Fall is here! Ok, it’s not here in Florida where we are still in the 90s but for most of the country cooler autumn weather is now the norm. Hopefully by November 1st we will be saying “Goodbye” to the 90s and the upper 80s. 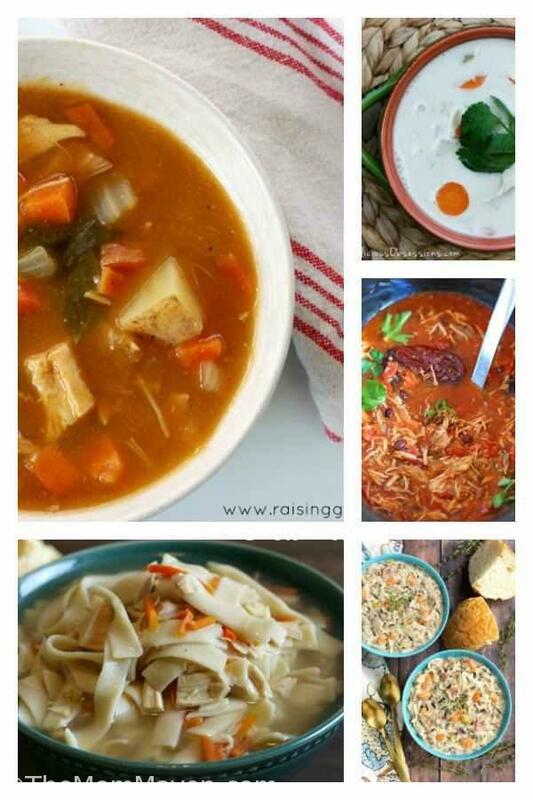 In preparation for the cooler temperatures I thought I’d gather some amazing Crockpot Soup Recipes for fall from some of my favorite bloggers and share them here with you. My Gluten-Free Kitchen starts us off with her Busy Mom’s Slow Cooker Chicken Soup Gluten-Free. This Paleo Chicken Stew comes from Delicious Obsessions. Simply Happy Foodie offers us Crock Pot Creamy Chicken Wild Rice Soup. Love Tortilla Soup? Check out this Slow Cooker Chicken Tortilla Soup recipe from Sweet and Savory Meals. Delicious Obsessions shares this Gluten-Free, Dairy-Free, Grain-Free, Low-Carb Creamy Coconut Green Chili Chicken Soup recipe. Chicken Scratch NY shares her unique twist on beef stew with her Crockpot Beef Stew with Sauerkraut and Tomatoes. 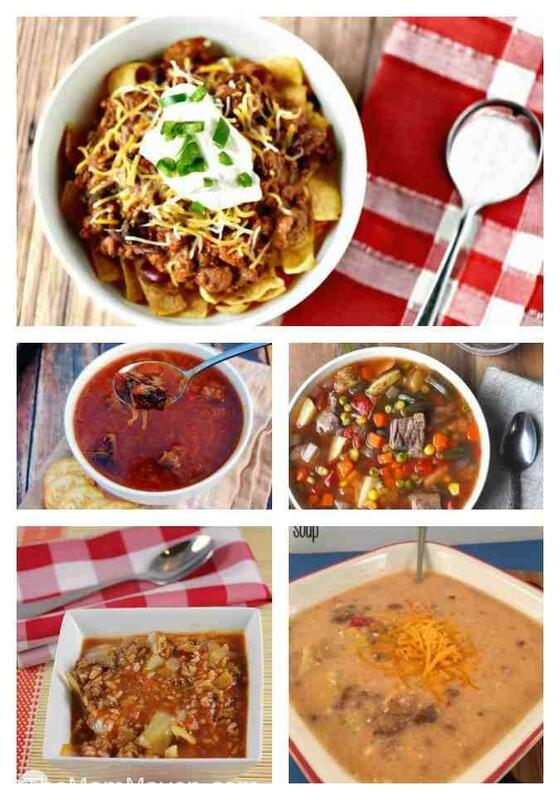 Chili fans will enjoy this Easy Crockpot Chili Recipe from Live Love Texas. You can’t go wrong with a cup of Old Fashioned Vegetable Beef Soup from Mighty Mrs.
My family loves my Bacon Cheeseburger Soup from right here on The Mom Maven. I bet my mom would love Simply Stacie’s Cabbage Roll Soup recipe! Perfect for after the holidays, Low Carb Yum shares her Leftover Turkey Stew. This Crockpot Ham and Cheese Soup from Down Redbud Drive sounds delicious! Spaceships and Laser Beams offers us this hearty Slow Cooker Tuscan Soup. The Italian Sausage Tortellini Soup from Mighty Mrs is a delicious addition to your cold winter night. Add this classic Minestrone from Hungry Hobby to your meal plan. Yes, it seemed funny writing “fruits or veggies” but, we all know that a tomato is a fruit so tomato soup is a fruit soup. 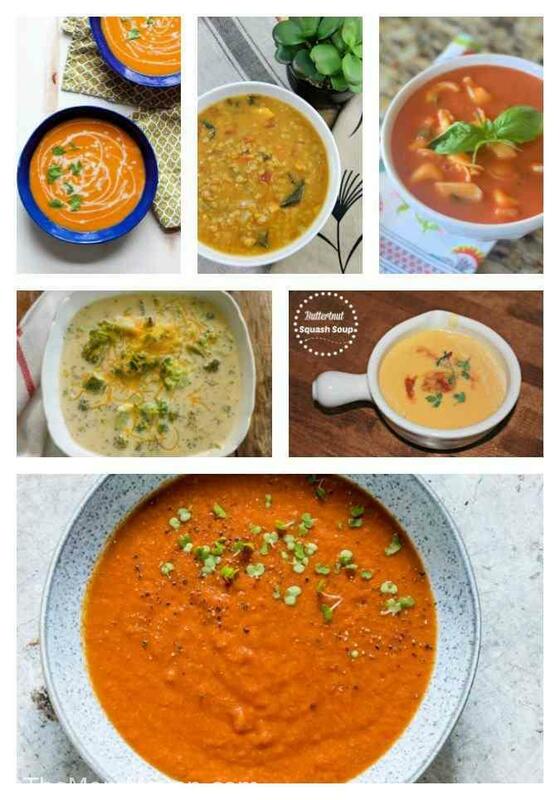 I love tomato soup, now I need to try this Curried Tomato Soup from Recipes From A Pantry. This Slow Cooker Tomato Basil Tortellini from Two Kids and a Coupon is also going into my menu plan. Looking for a Vegan soup? Try this Coconut Red Lentil and Carrot soup from Family Food and Travel. Kitchen Treaty shares this 5 Ingredient Thai Curry Butternut Squash Soup. Fit to Serve Group offers up this low carb, keto Broccoli Cheese Slow Cooker Soup. Enjoy this Slow Cooker Butternut Squash Soup Recipe from Consumer Queen. 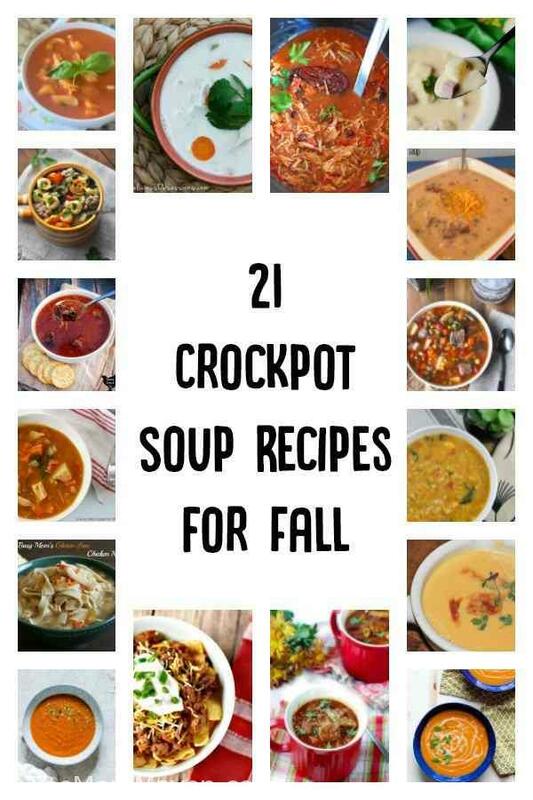 There you have it, 21 Crockpot Soup Recipes for Fall. 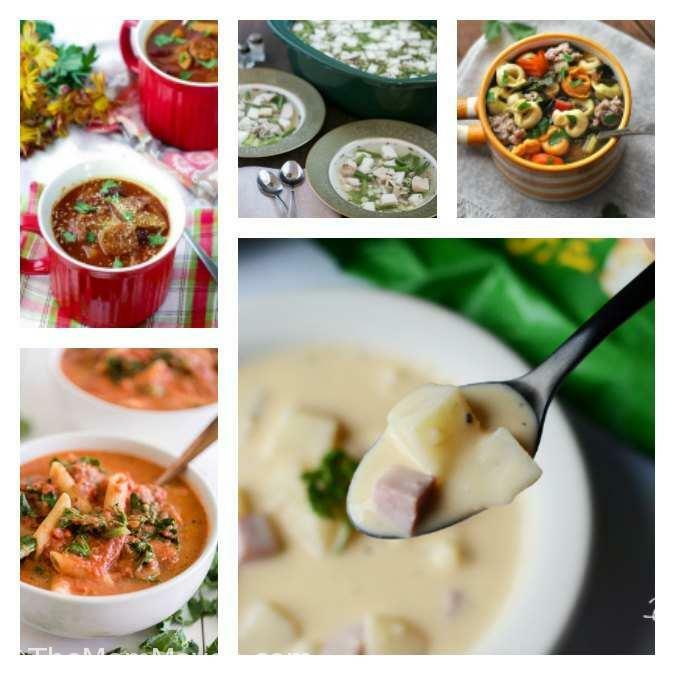 I hope you have found at least a few recipes to add to your fall and winter menu plans.